Pensacola jam band, Mass Kunfuzion, returns for their seventh straight year to Bands on the Beach from 7-9 p.m. on Tuesday, September 24th at the Gulfside Pavilion. Mass Kunfuzion has been playing music and entertaining Pensacola and the surrounding areas for 15 years. Today Mass Kunfuzion remains a solid ensemble presenting classic rock, Motown, smooth jazz, funk, country, and oldies in style all their own. 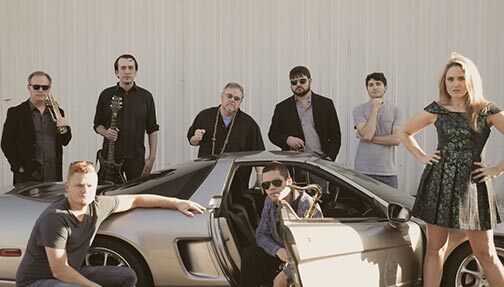 With 9 members, Jennifer, Ben, Frankie, Michael, Caleb, Filipe’, Gerald, Liko and Mike, Mass Kunfuzion has an unlimited talent pool to cover any genre. Come have some fun with us and take spin on the dance floor.